Weird Wonderful Web: Is Santa on the naughty list? Did naughty Santa Claus not bring you the gifts you were expecting? If so, should he also go on the "Naughty List" himself? Or would that not be punishment enough? Perhaps crucifixion would be more fitting. 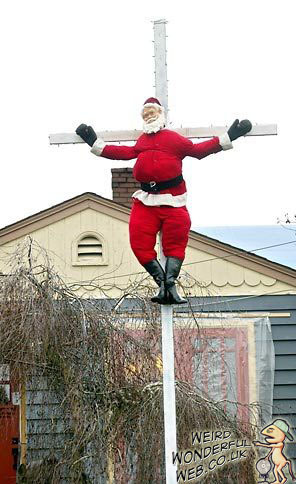 Don't GET cross with Santa ... put him ON the cross!! !